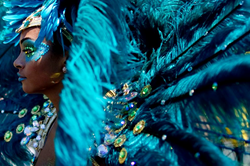 Toronto Caribana, a website that is devoted to sharing information about the best deals, parties and weekend packages surrounding Caribana Toronto 2015, has just announced a wide variety of exciting events and celebrity appearances for the festive event. As a spokesperson for Toronto Caribana noted, NBA superstar LeBron James will host his first-ever pool party at Cabana Poolcub, and Fabolous the superstar mega rapper has also confirmed his appearance at The Sound Academy. Machel Montano is now scheduled to appear at Wildwater Kingdom, and sixth man Lou Williams from the LA Lakers and Tristan Thompson from the Cleveland Cavaliers will also host an NBA event at the Same nightclub. The Hot 97 BET All-Star Celebrity Party has also confirmed that Fabolous will perform on Sunday. The Scotiabank Toronto Caribbean Carnival, formerly and still commonly called Caribana, is a festival of Caribbean culture and traditions held each summer in the city of Toronto. It has been billed as North America's largest street festival, with more than 2 million people attending. The parade is one of the most famous and popular features of the event; it includes some of the most creative Mas Players from world-famous bands playing amazing and upbeat Caribbean music. “Our festivities have hosted thousands of people every night, in an array of the city’s leading venues, selling out historical sites such as the Guvernment and Kool Haus,” noted the spokesperson for Toronto Caribana, adding that in recent years, Caribana has been shouldered by Toronto's own Drake and his OVOfest, a musical festival that in the past has hosted artists such as Jay Z, Rihanna, Rick Ross, Outcast, Nicki Minaj, Meek Mill, Stevie Wonder and more. Anybody who would like to learn more about the upcoming Caribana Toronto festival is welcome to visit the Toronto Caribana website; there, they will find great deals on the best accommodations, hotel and packages, as well as up to date information on celebrity appearances and musical acts.